There are two sides to every story and shelves are no exception. Make it easier to find everything you need. 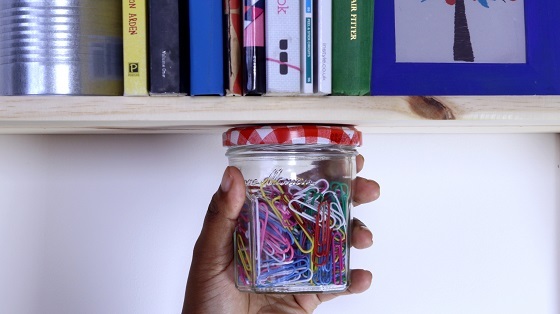 Watch this video for a great space-saving storage solution with an upcycled jar and Sugru. Sugru is ideal for this project because it’s strong and bonds well to most materials, especially wood and metal. Three quarters of a single-use pack is enough to hold one normal-sized jar. 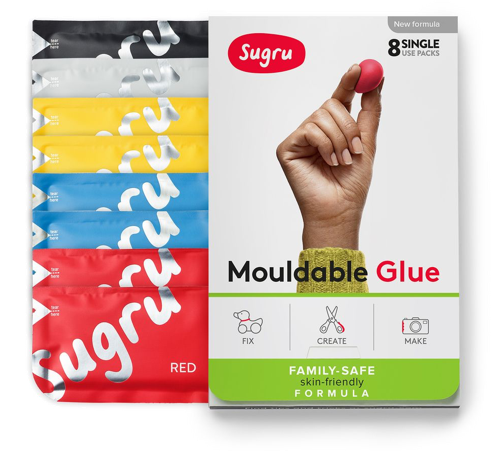 Need to stock up on Sugru? Head over to our online shop! Step 1 – Divide your Sugru in four. You’ll only need three pieces for this project. Step 2 – Press each piece into the lid of your jar, ensuring even distribution and shape into a pyramid. Step 3 – Press your jar lid carefully against the underside of the desk ensuring a strong, level bond and leave to set. In 24 hours you’ll be able to store anything you need, out of the way but still within easy reach! You’ll still have a little Sugru leftover, so why not check out all these awesome projects for inspiration? 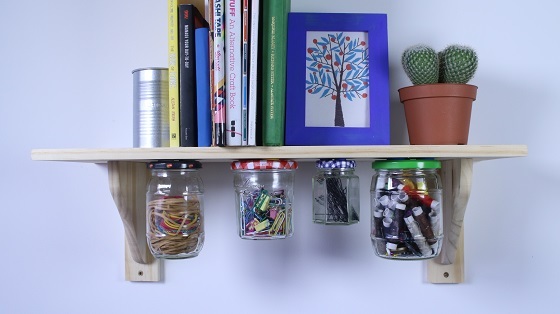 We’ve Sugrued our jars to the underside of a shelf above our desk, but you could hang your jars anywhere! Why not use them in the kitchen to store tea bags or spices? It's never easy to remember where you've left your stuff, especially if you have to waste time searching. Keep your essentials within easy reach with Sugru + magnets. 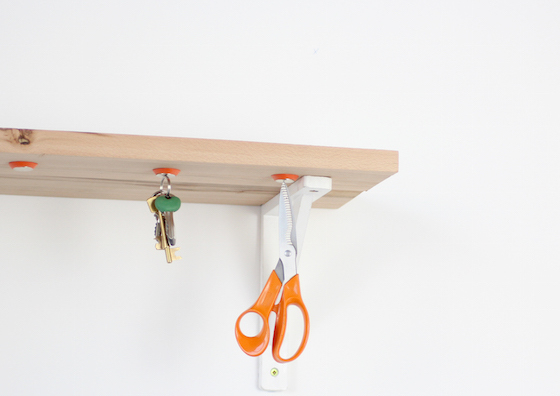 At last – a solution for those messy kitchen cupboards! 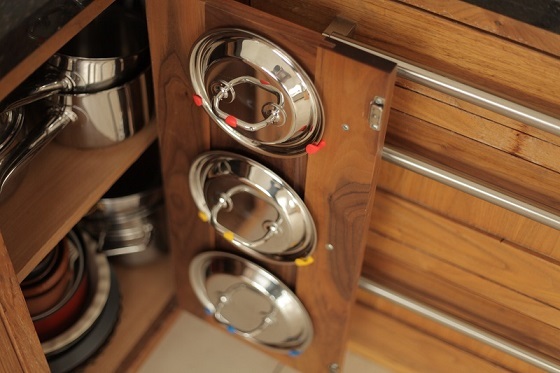 Conquer the kitchen chaos with this easy idea for organising your pot lids with Sugru. 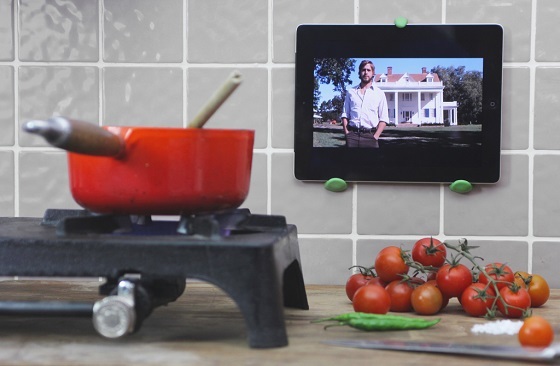 Keep your workspace clutter free and your iPad clean from spills and splashes, with this great idea for creating your own iPad wall mount in the kitchen. This is a great idea for reading recipes or watching TV shows while you cook! 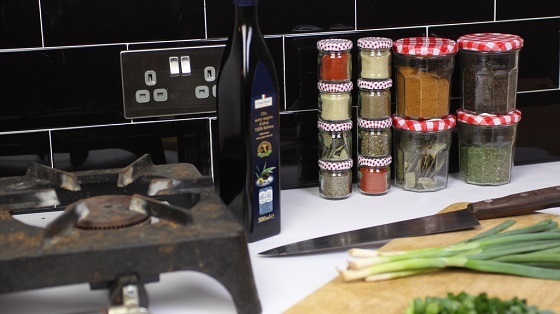 Keep your spices handy and your kitchen work surfaces clutter free at the same time with these great DIY storage towers. Starting a new adventure is exciting! Head over here for loads more ideas and inspiration for making the most of your space, whether you're heading back to school or moving into a new place.